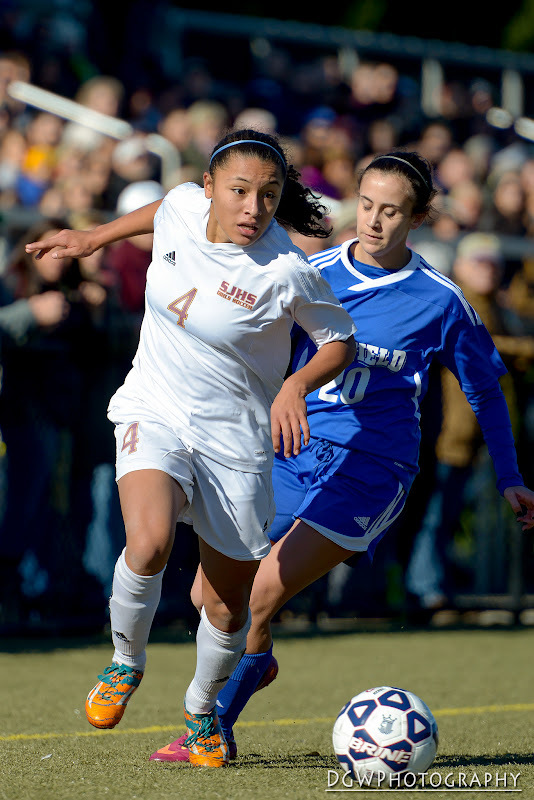 The St. Joseph High girls soccer team defeated Suffield High, 2-0, to win the Class L state championship at Municipal Stadium in Waterbury on Saturday morning. 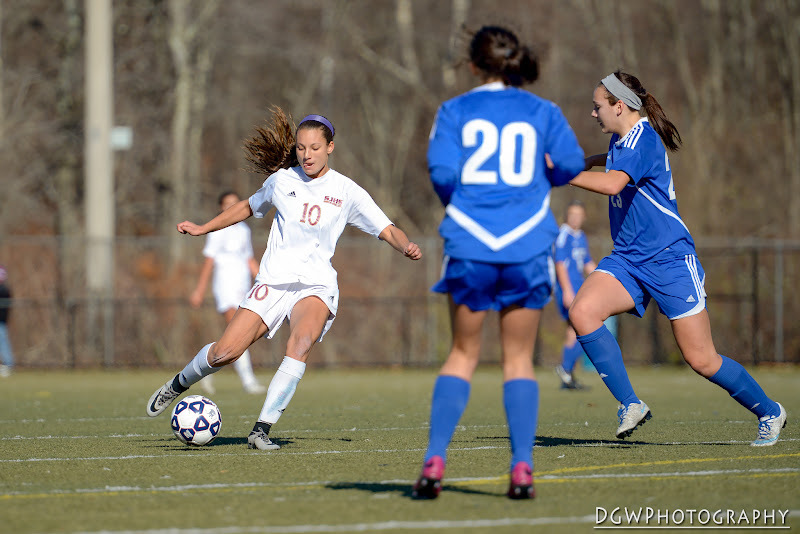 Jenna Bike scored the game-winning goal aat 17:26 of the first half, before Lindsey Savko drove home a header off of a corner kick with 29:05 left to provide the insurance goal. 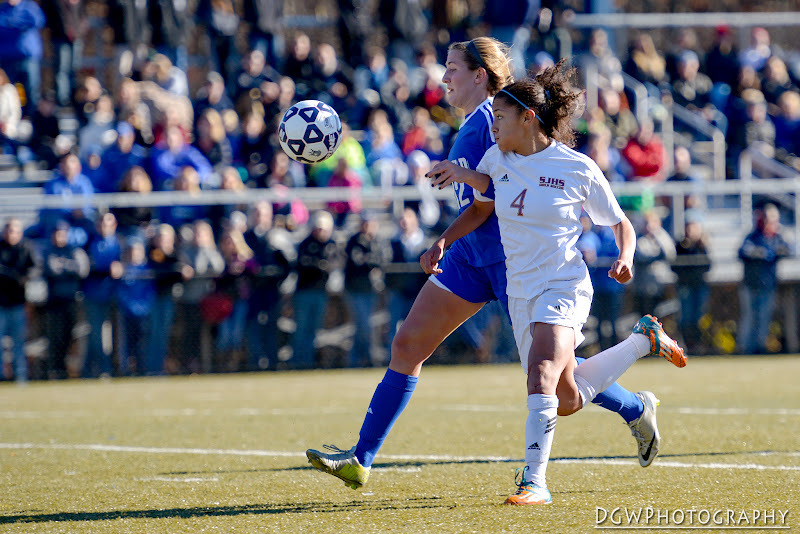 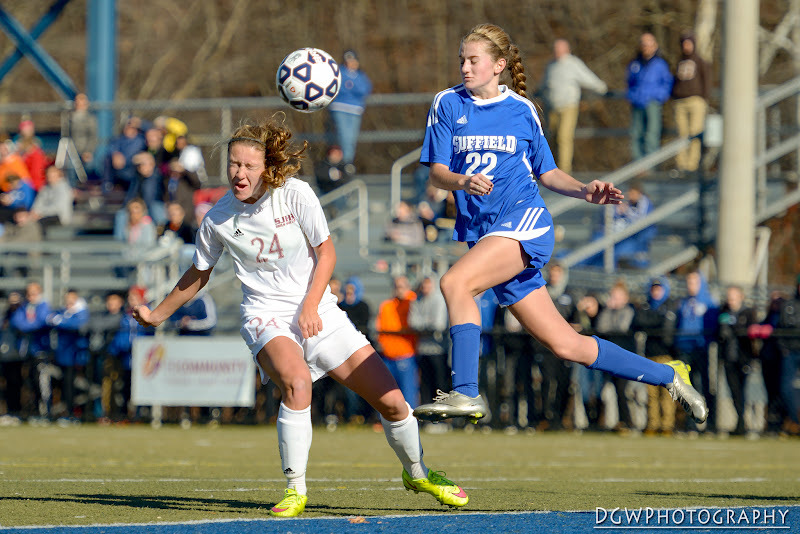 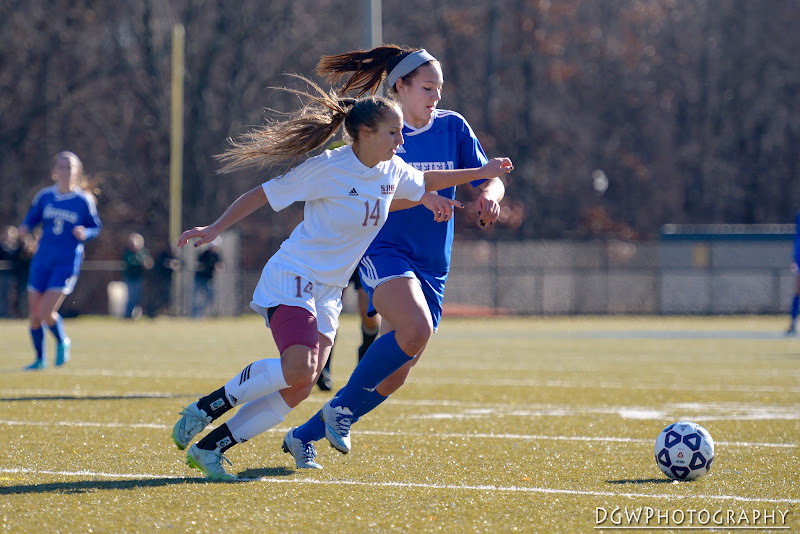 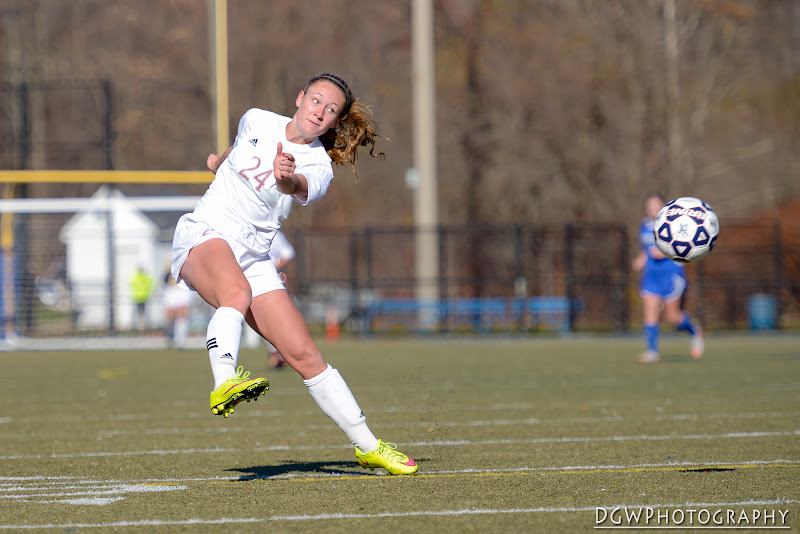 Prior to the final, Suffield had given up just three goals all season. 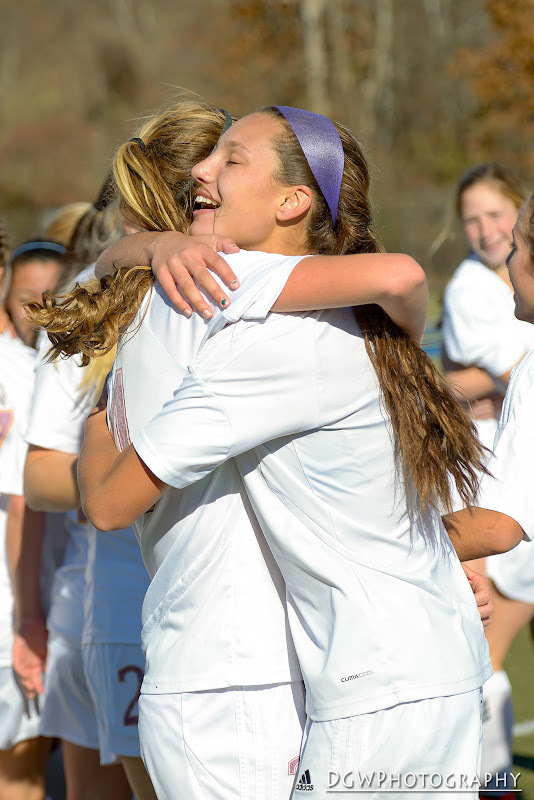 Marissa Grasso congratulates Jenna Bike after her goal. 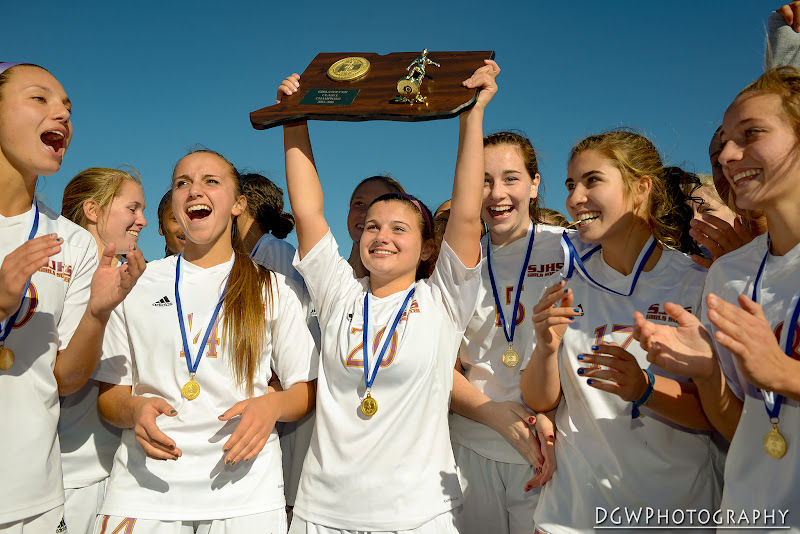 Samantha Lello (20) displays the Class L state championship plaque to fans.